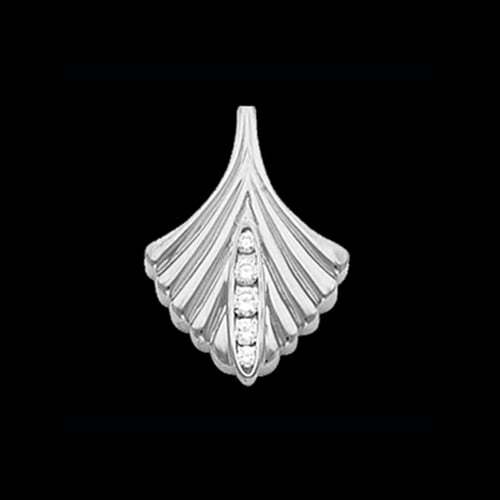 Tantalizing Platinum diamond slide pendant. Incredible pendant features a grooved fan design and is set with 1/4ctw SI 1 clarity G-H color diamonds. 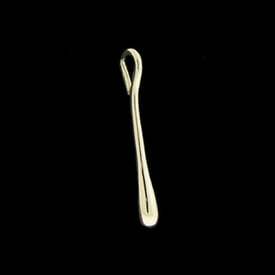 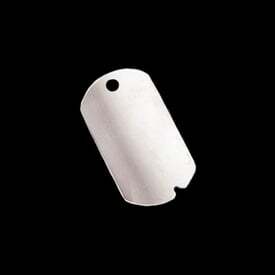 Pendant measures 27mm in length by 21mm across and weighs about 8.05grams. 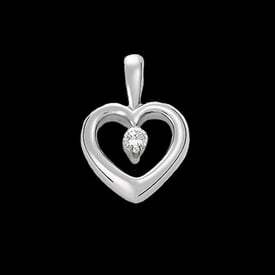 Vibrant diamonds are channel set as a focal point in this lovely design. 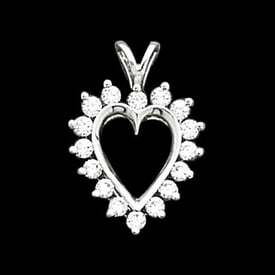 Indulge yourself with this luxurious Platinum diamond slide pendant, you'll love it.